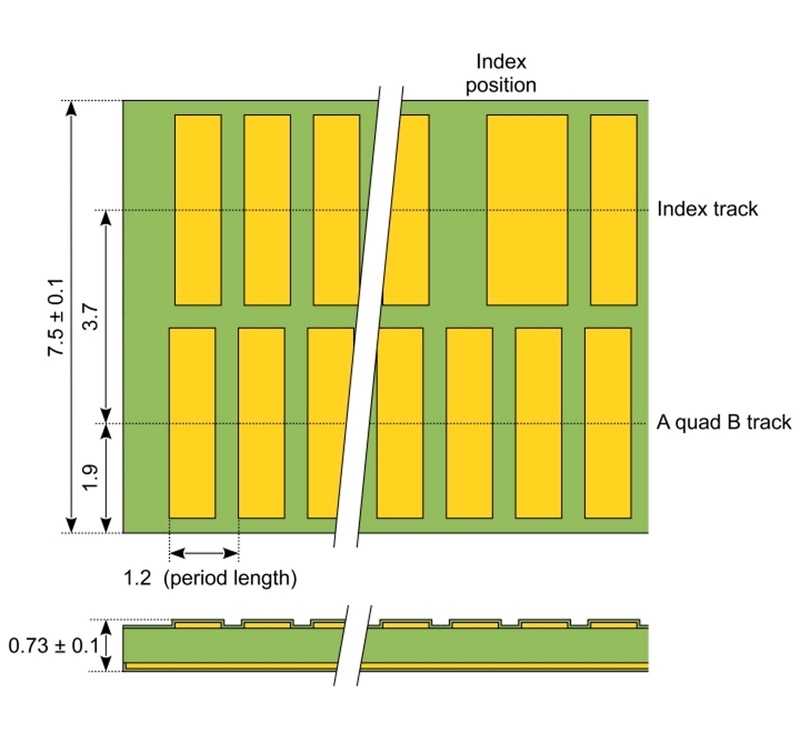 Dual-track linear scale with period length 1.2 mm for IT encoders with length 205 mm and centered index. The scale consists of a PCB with copper patterns on the front side and with a plain copper surface on the backside. The backside copper layer acts as a screen against metallic structures behind the scale. The scale can thus be mounted on a metallic or non-metallic surface. The scale can be aligned against a metal edge, the edge height must be less than 0.2 mm.